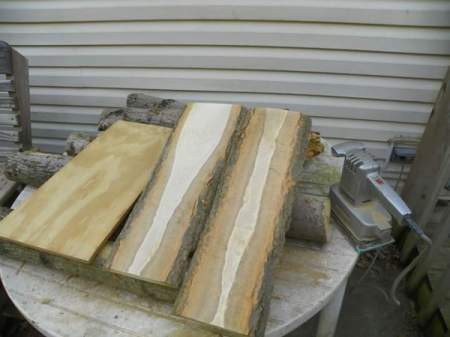 I was given long wood planks with bark attached to the sides. 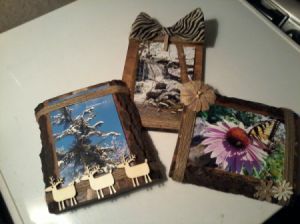 I decided to make photo displays out of them after I cut the planks down to a manageable size. Stain front, then spray with sealer. Place picture sawtooth hanger on back or length of twine to hang from a nail. 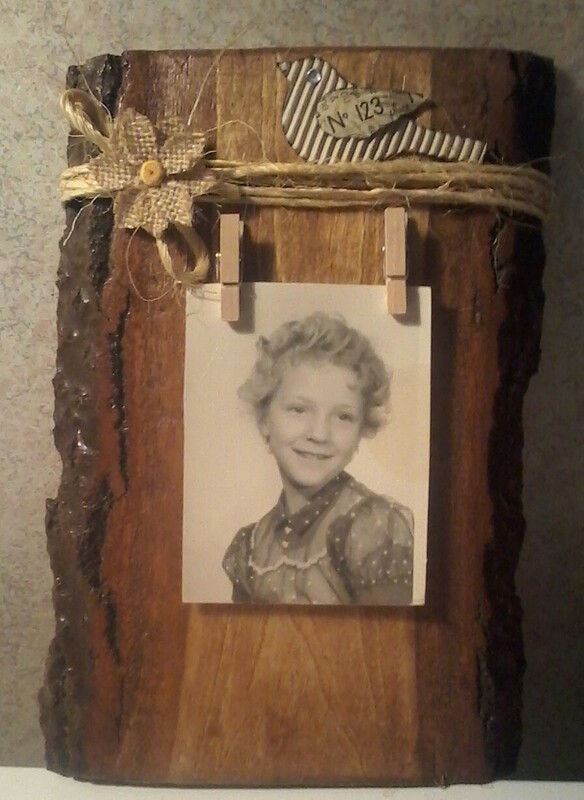 Attach twine, ribbon and/or mini-clothespin(s). Secure twine and ribbon on the back with staples. 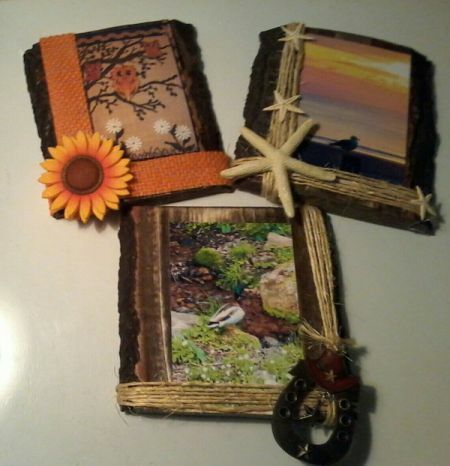 Add embellishments such as sea shells, small wood shapes, burlap flowers, etc. These are adorable! I have always wanted to make items with wood and I admire people who do! Thank you! I fell into this totally by accident - I asked my friend's brother to cut me some slices if wood from a tree he was cutting up. I painted them for Christmas ornaments, and they were a hit at the craft consignment store. Then he showed up one day with the planks and I was clueless as to what to do with them. I looked at things on Pinterest, and then these were born! Thank you! When I got those planks I had no idea what to do with them. I looked through Pinterest, got an idea, and went with it!